NEW DELHI: Cisco and Interpol the world’s largest international police organization, have today announced an agreement to share threat intelligence as the first step in jointly fighting cybercrime. Cisco’s best-of-breed security offerings and its architectural approach help customers secure their organizations more effectively from the network to the endpoint to the cloud. Cisco’s comprehensive security portfolio is designed to work together to see a threat once, and stop it everywhere, changing the security equation. In addition, Cisco blocks 19.7 billion threats a day through its Collective Security Intelligence, enabled by Cisco Talos, the security intelligence and research group. 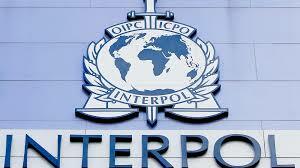 Cisco, Interpol collaborate to combat cybercrime 0 out of 5 based on 0 ratings. 0 user reviews.